Card Cafe Thursday with Melissa Phillips! Welcome Spring! I love creating this time of year, indulging in bunnies, butterflies, flowers, and all things fresh and new. 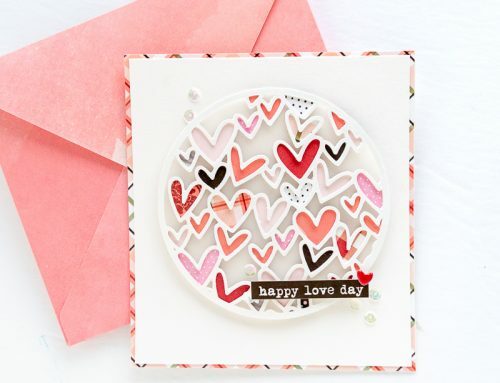 My cards today are full of those things and a few others, including a quick tip on how to customize your adhesive pearl embellishments, so they're just the right color. 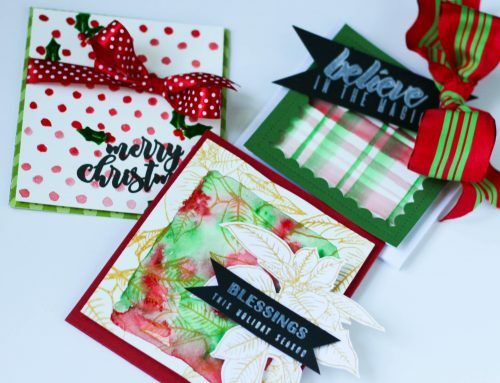 I've used one of my most favorite, and the absolute sweetest paper collection on both cards today, Tealightful from Pebbles Inc. You must treat yourself to this! It's full of teacups, glittered stickers, puffy florals, sweet confections, and many other adorable elements. I especially love the 6×6 Tealightful paper pad. 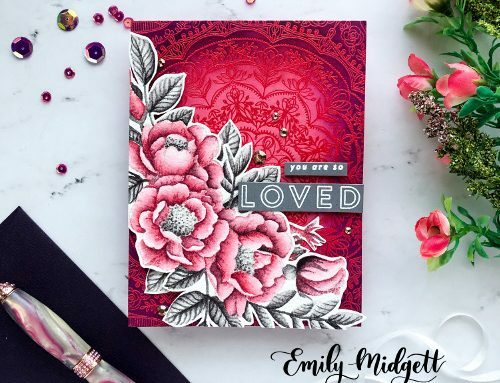 These pads are the perfect size for card-making, with each available pattern in the collection wrapped up in one, perfect, paper pad. Layering is something I can't quite live without, so you'll notice here that I've started with my patterned paper, second, a die cut tag, and lastly, two cardstock ephemera die-cuts, followed by puffy stickers. Near the bottom of my card, I added a sentiment sticker and embellished with adhesive pearls I colored just the right shade of yellow to coordinate with the colors found in my card. This is such a fun trick and one that I use often. I began with white adhesive pearls, selected a Copic marker in a shade of my choosing, and then colored my pearls. Copics are the perfect marker for this and with all of the different colors they come in, you'll be customizing your embellishments in a snap! My next card uses more layers consisting of my patterned paper, cardstock, transparent stickers, puffy stickers, etc. Grouping elements is a great way to draw your eye to a certain area on your card. Here at the top, I wanted to add a little color and interest near the corner, highlighting my sentiment. I began with a transparent sticker (the tag), added a sentiment, stamped on a die cut banner, and then accented with a button, twine, and puffy stickers. At the bottom, I layered over my transparent flower basket by adding a puffy flower and die cut butterfly, popped up a bit using dimensional adhesive. 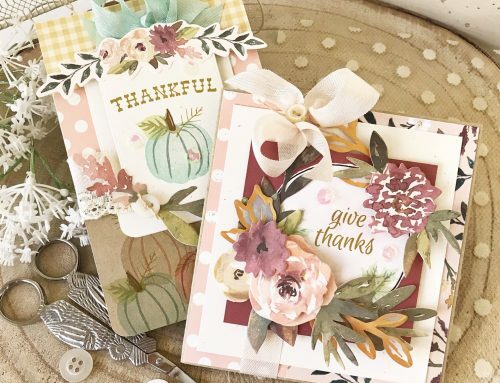 There are so many products available right now to help you celebrate Spring and indulge in the things you love all at the same time and the Tealightful Collection from Pebbles Inc. is one that you'll want to use up every scrap of! Thanks for inspiring us with such beautifully layered designs! They are very lovely and beautiful cards for Spring. Beautiful cards!! And I didn’t know you could color those adhesive pearls!! I’m going to try this for sure! Great cards! And thanks for the tip about coloring the pearls with Copics – I’ll be doing that for sure! Stunning cards. Love all the layering. These are both so pretty and so full of happy colors for Spring. Love the cards! They both have eye catching details and spring colours. Love the cards and the beautiful spring colors! Such darling cards! Love the tea themed one, and it even has a bunny in it for me! The Pebbles Tealightful is absolutely adorable. I wish that I could buy everyone of their products. Many thanks to them for offering such a nice prize. 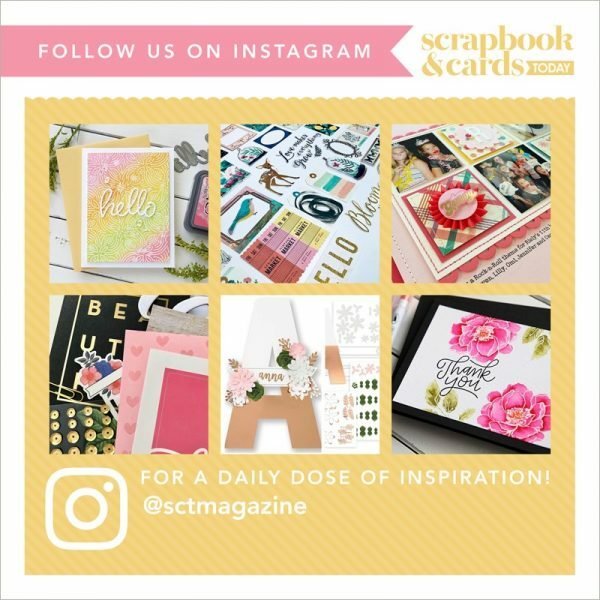 Love all the new ideas I have gotten from your spring cards! Thank you!